May 18th is International Museum Day! Museums and historic sites across the world are opening their doors for free today. 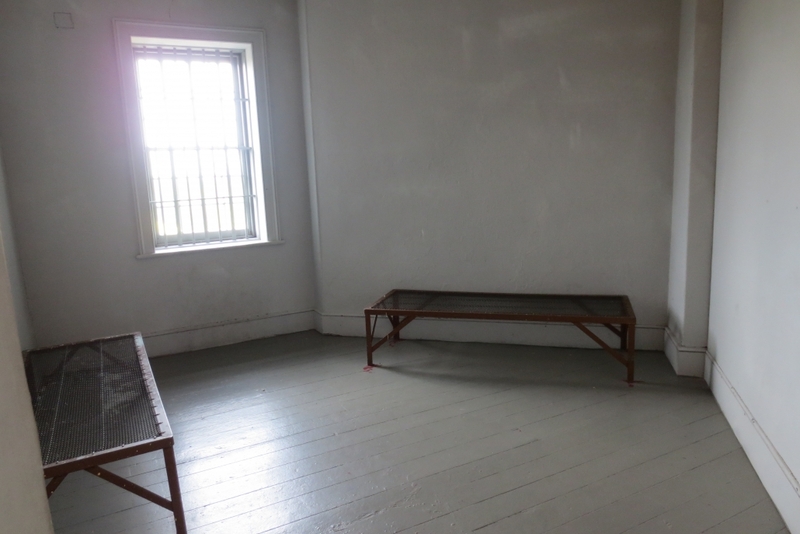 For those whom cannot visit the Huron Historic Gaol in person, Student Museum Assistant Jacob Smith delves into the building’s past to reveal how some of Huron’s youngest prisoners ended up behind bars. Occasionally, young people were sent to gaol for serious crimes. In 1870, William Mercer, age 17, was brought to the Huron Gaol and charged with murder. He was sentenced to die and was to be hanged on December 29, 1870. Thankfully for Mercer, his sentence was reduced to life in prison and was sent to a penitentiary. This is an example of an extreme crime for a young offender. On many occasions, children were sent to gaol because they were petty thieves. Many young people who were committed for these types of crimes would only spend a few days in gaol. If the crime was more severe, children would be transferred from the gaol to a reformatory, usually for three to five years. The youngest inmates that were charged with a crime were both seven years old. The first, Thomas McGinn, was charged in 1888 for larceny. He was discharged five days later and was sentenced to five years in a reformatory. The second, John Scott, was charged in 1900 for truancy; he was discharged the next day. 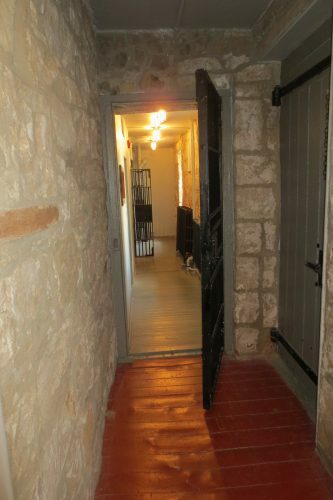 First floor cell block at the Huron Historic Gaol. Unfortunately, some children were brought into gaol with their families because they were homeless or destitute. An example of this was in 1858, when Margaret Bird, age 8, Marion Bird, 6, and Jane Bird, 2, spent 25 days in gaol with a woman committed for ‘destitution’ (presumably their mother). Some children were also brought to the Huron Jail because their parents committed a crime and they had nowhere else to go while their parents were incarcerated. Samuel Worms, age 7, was sent to gaol with his parents because they were charged with fraud in 1865. He spent one day in the Gaol. When reading through the Gaol’s registry, it is clear that times have certainly changed for young offenders. Most of the crimes committed by the young prisoners of the past would not receive as serious punishments today. Richard Cain, 16, spent two days in jail. The Huron Signal, 1896-09-17, pg 5. Philip Butler, 15, spent eleven days in the Huron Jail. The Exeter Advocate, 1901-08-29, pg 4. 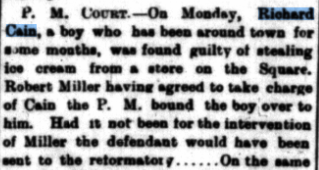 Sources came from the Gaol’s 1841-1911 registry and Huron County’s digitized newspapers. *Dates for which the gaol registry is available & transcribed. There were young people in the Huron jail throughout its history, into the twentieth century.